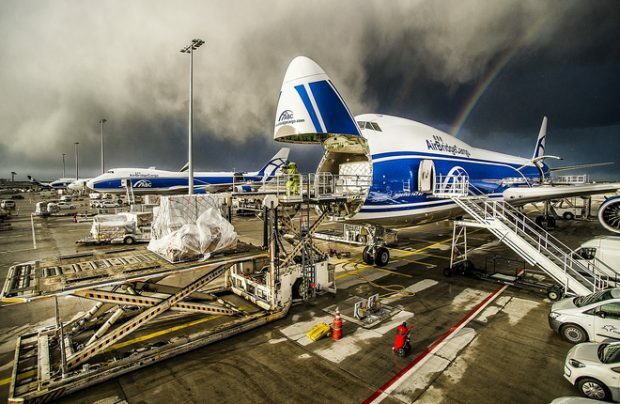 AirBridgeCargo (ABC) Airlines, a Volga-Dnepr Group’s western wide-body freighter operator, has strengthened its footprint in Asia by increasing the number of frequencies to its main destinations in the region, thereby taking advantage of an average annual five per cent growth rate in the last five years. As of the end of March, the Russian company’s schedule now includes six Shenzhen flights a week, eight Narita services and two Ho Chi Minh City flights. The extra capacity will reinforce ABC’s position in these markets as well as facilitating additional import/export flows of the respective stations, says a company statement. With customers seeking additional capacity, all of these destinations are firmly established in ABC’s international network, with Shenzhen the latest addition, having been launched at the end of last year. According to the statement it has been supported by “stable customer demand”, prompting the increase to six frequencies per week to accommodate various types of cargoes, including those requiring special handling. Not only has the Pearl River Delta city demonstrated high growth rates in recent years, it is now also ranked in Asia’s top-five cities in terms of its economic size and sits at the centre of a Special Economic Zone. Together with Hong Kong, Macau, Guangzhou and other cities of the Pearl River Delta, it is part of the largest manufacturing base in the world. “Being one of the three airport hubs serving the Pearl River Delta, Shenzhen complements our Asia Pacific online stations and offers our customers more options for delivery of their consignments. With the airport’s plan for further cargo infrastructure expansion and the construction of a third runway, we feel supported and confident that our flights will be operated smoothly and seamlessly,” states Alexey Zotov, ABC’s commercial director. The cargo airline’s international network is a life form that transforms and grows in line with business needs, he points out. “This [expansion] will bolster our ABC e-com product out of Shenzhen, our ABC XL and ABC pharma business from Narita, and our ABC general [freight] with ABC valuables services from Ho Chi Minh City,” Zotov adds. AirBridgeCargo has been operating in Asia since 2004. Its network currently covers 14 mature and emerging cargo gateways, with the company being able to offer forward connectivity options and transport links through its Moscow Sheremetyevo hub for deliveries to Europe and the USA.